The material tanks built by WALTHER PILOT are highly suited for preparing, evacuating, adjusting temperature and, of course, conveying a variety of materials without pulsations. 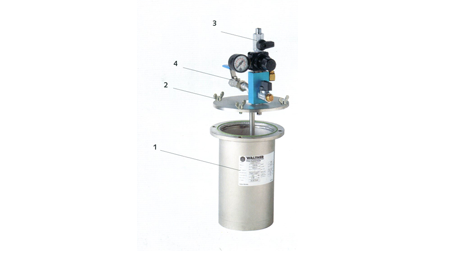 The pressure tanks (MDG) for materials and the paint mixing tanks (FMB) are standard units, available optionally in galvanised steel or stainless steel (alloy 1.4301). If desired you can also obtain these in any of a variety of materials (unfinished, primed, or painted steel) and coated with the widest assortment of materials. Of course, customer-specific solutions can also be supplied. 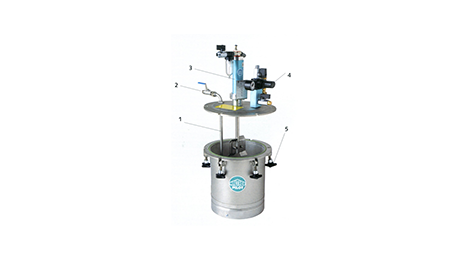 Examples are tanks with an external heating jacket and insulation, double- walled containers for heating or cooling (optionally with a thread-mount heater or prepared for an external temperature control unit), and optical and electrical fill level sensors. Also available are air- driven and electric agitators with a number of power levels and speeds, including those which are speed-controlled and certified as per the ATEX directive. New to the line are the modular tanks for your own configuration. 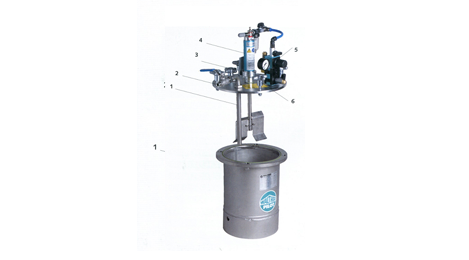 Our low-pressure tanks (LDG) are also available for conventional applications. These feature low weight and swing-bolt fasteners. The design, engineering and approval of the pressurized tanks are in accordance WITH THE Pressure Equipment Directive 97/23/EC (AD-2000 Rules). Over and above that, we are also qualified to manufacture and certify containers as per the ASME Code and Chinese Quality License. Please get in touch with us whenever you have distinctive specification.